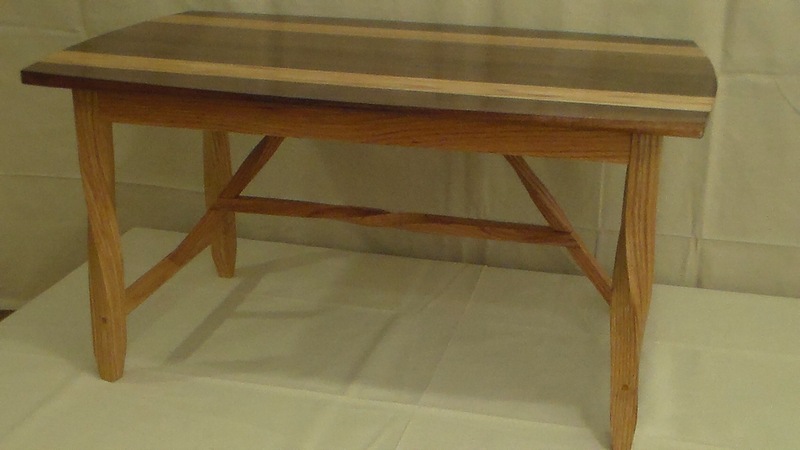 Here’s my latest project it’s a coffee table I made for an on-line coffee table build off. I’ve been working here and there over the last year or so on a process for a steam bending technique that I can use to twist wood around like wrot iron railings. This is my first attempt to make a project using this technique, and I think it came out rather well. 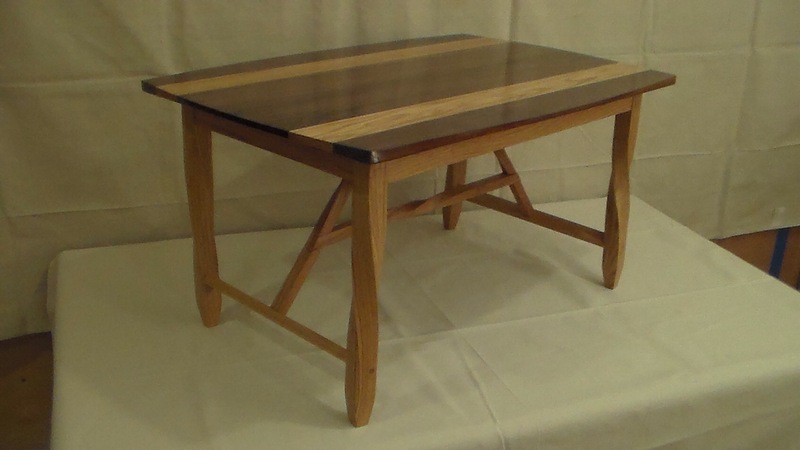 The base is made out of white oak and features 4 twisted legs and a truss style support featuring more twisted parts. Since this piece is a prototype all the joinery is designed to give or pop apart if there is any movement from the twists and a glue that can be re activated was used so any repairs can be made. 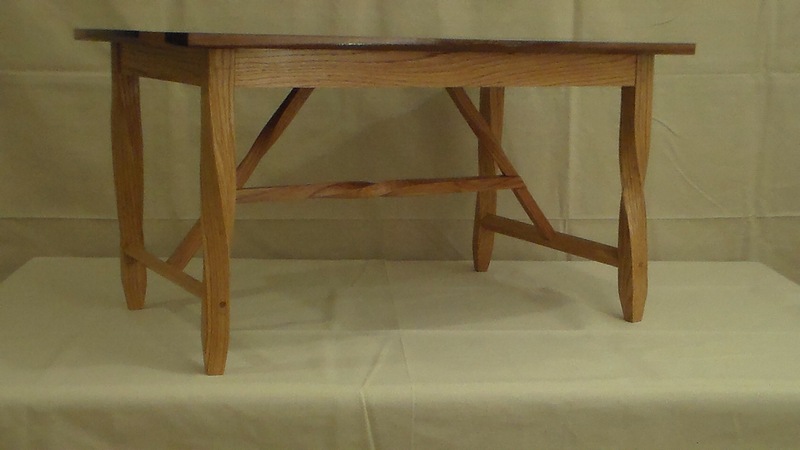 I will have a follow-up blog post about the design for the joinery as well as the twisting process at a later date. This piece will be observed for the next year to watch for any problems from seasonal movement before I make any tables for sale. 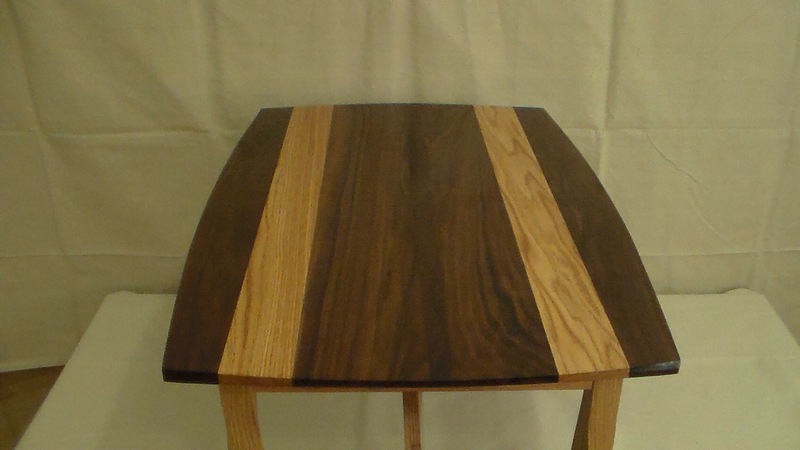 The top featured walnut with 2 oak strips for some visual appeal and has a cove on the underside and sides cut at arc’s that leaves a nice thick to thin and back to thick appearance. 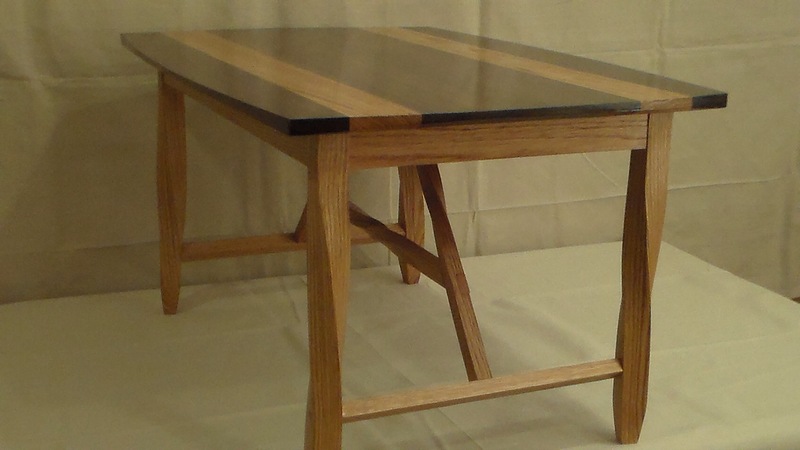 The whole piece was finished with oil and shellac with a high gloss polyurethane on the top only. I have more projects drawn out using the twisting technique and are designed to be fun to make so please check back now and then to see what I’m up to. This entry was posted in Uncategorized and tagged coffee table, steam twisting, twisted legs, twisting wood, wooden coffee table. Bookmark the permalink.